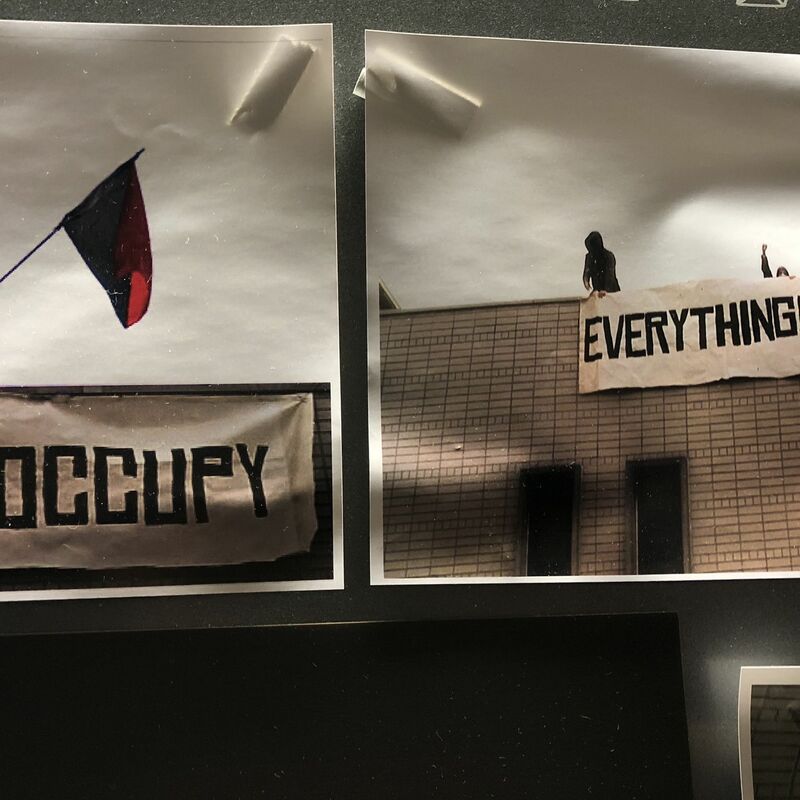 Jamie, Sean and Andy take a field trip to the occupied New School to interview "K," an anonymous student, about New School students' latest direct action in solidarity with cafeteria workers (repped by UNITE HERE Local 100) and grad students (SENS-UAW). Later, back at the ranch, the gang contextualizes this occupation with some history of the modern university: its roots, its social function, and how it has developed as a site of struggle. What happened in the '70s and '80s that made college so expensive, yet also so necessary? The through-lines from the student occupations of the 1960s to Occupy Wall Street to the Bernie Sanders campaign. Sean and Andy reminisce about their own college years and reveal how they met. Sorry for the poor sound quality, it was our first time recording outside the studio!